While it may be strange, I love the smell of corn pollinating and don’t mind walking fields this time of year! Summer is flying by but it seems like it’s taken a long time to get to tasseling in our fields this year. Now that corn is tasseling, we can take into account the third foot root zone for irrigation scheduling. There still is moisture to consider in the third foot so continue to check your readings on your irrigation scheduling tools and now take averages for all three feet. You may be surprised as some of you won’t need to water till end of July/beginning of August! If you have any questions about your irrigation scheduling tools, please continue to call any of us Extension educators or the NRD personnel as we want to help you and work with you now to answer them. Disease just isn’t an issue so far in fields, so for those of you who purchased fungicide, wait till disease is present when you may need it. UNL research by Dr. Tamra Jackson has proven yields are just as good with delayed fungicide applications as they are at tassel. The longer you wait to use it for gray leaf spot, the more chances you will have residual for southern rust when it comes in. While corn prices are high, you want to keep as much of that money as you can! I don’t recommend fungicides on soybeans as we don’t have the disease to warrant it. If you did pre-pay fungicide for soybeans as well, the timing of that application should be R3 (beginning pod). Soybeans are approaching beginning pod for many of you. For soybeans, this is a critical time for moisture in addition to seed fill at R5. Many irrigation systems were running on beans last week and I just cringed because the time we don’t want to water soybeans is full flower or (R2). The reason for that is because it can create disease issues. We’ve seen a large increase of sudden death syndrome (SDS) the past few years in our county. Part of that is due to early planting in cold soils, but irrigation during flowering can also play a role. The major disease that occurs when irrigating during flowering is sclerotinia stem rot (also known as white mold). While we have very few cases of this in the area, this disease is one that you don’t want to get started in your fields. Like the fungal pathogen causing SDS, the fungal pathogen causing white mold is soil borne. Thus, once you have it, you can never get rid of it. White mold gets started during R2 when flower petals begin to die and the fungus develops on those dead petals. 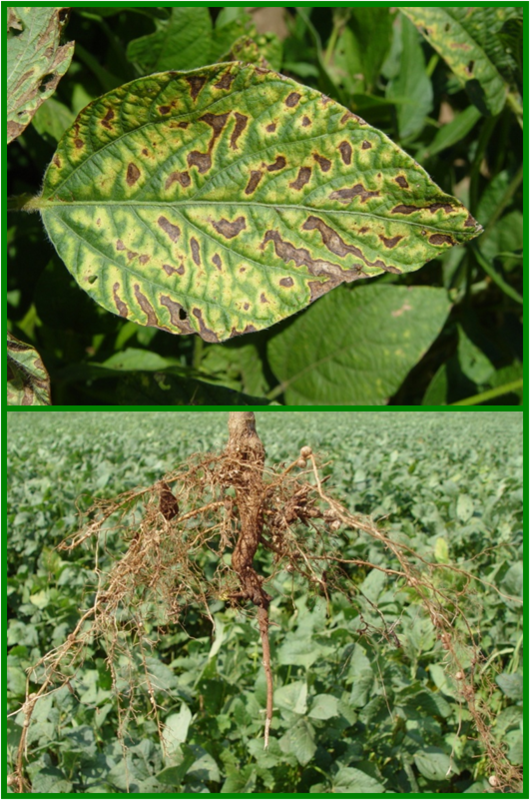 Wet, humid conditions during flowering are key to fungal development, so in the future, avoid irrigating beans during the flowering stages to avoid problems with these two diseases. 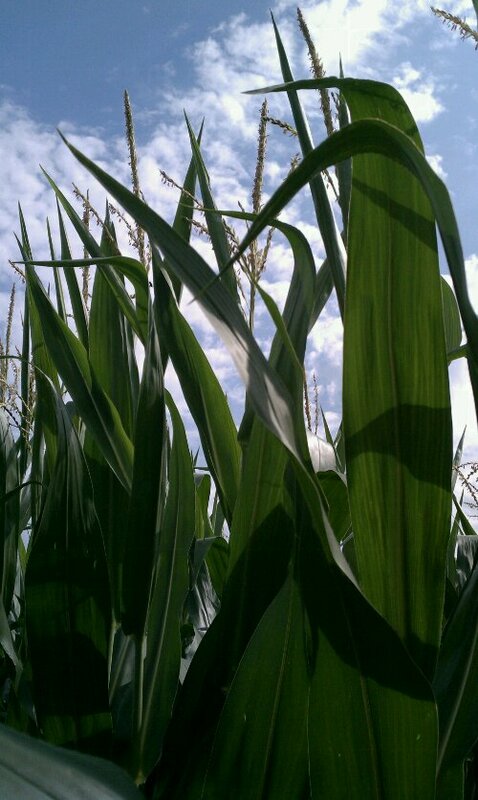 Posted on July 18, 2011, in Crop Updates, Diseases, Irrigation Scheduling and tagged Agriculture, corn, Crops, Diseases, fungicides, Irrigation, Irrigation Scheduling, sclerotinia stem rot, SDS, Soybeans, sudden death syndrome, white mold. Bookmark the permalink. Leave a comment.